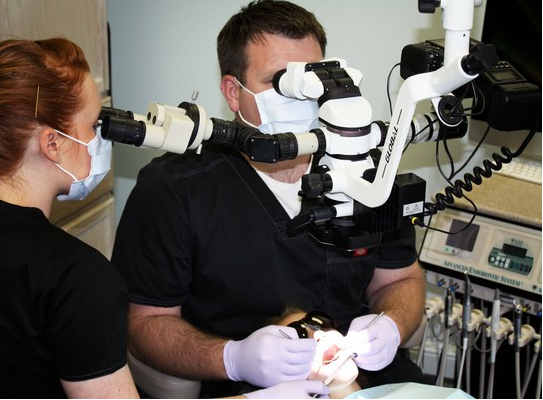 Our Mission is to provide a uniquely high level of specialty endodontics to the Reno, Nevada area. We attract like-minded colleagues and patients who value dental care delivered in a thorough, meticulous manner with an unwavering drive for successful outcomes. The best way to accomplish this is through traditional, time-tested values like hard work, integrity, honesty, and compassion. You will find your experience at our office to be uniquely refreshing. Our experiences with medical care in general seem to be eroding while costs climb. It's time for a change and at Weed Endodontics, we promise to always seek for the best ways of delivering world-class care. When you partner with us for your specialty endodontic care, you become part of a great scientific search for better results in care. It is our policy to follow your case as long as possible. We want to physically measure our outcomes and we are constantly seeking out the best science and clinical experience to help us improve what we do. 1) Endodontology: the science. "What does the research, evidence, and guidelines of science tell us about your specific case?" Making decisions based on the best evidence requires that we not only are familiar with that evidence, but also that we understand the limitations and appropriate applications thereof. 2) Clinical Experience. Dr. Weed has practiced dentistry in the military and in private practice as a general dentist. He has also practiced in a university setting and private practice as a specialist. How can his experience be applied to help solve your concerns and problems? 3) Patient Values. Patients are ultimately in charge of their healthcare decisions. They deserve to be educated sufficiently to make responsible decisions about their bodies. In the end, patient's values need to be considered by their healthcare providers when deciding on the best plan for moving forward. You can rest assured that we will take the personal time with you to discuss your case and help you choose the best direction of treatment for you. Dr. Weed is a native of northern Nevada having grown up and graduated from Churchill County High School in Fallon. Weed Endodontics proudly serves Reno, Sparks and the surrounding communities. While I'm a firm believer that it's the "archer, not the arrow" when it comes to technology, I also believe that the right tools make the best even better. My office is set up to deliver the very best radiographic imaging possible. The digital radiographic sensors I use for conventional x-ray images are the best on the market. But beyond 2 dimensional imaging, I own a cone-beam computed tomography scanner, the Carestream 9000 (formerly Kodak). This tool allows me to see the roots of your teeth and surrounding bone in unsurpassed detail. I often joke that it has a negative return on investment because it often gives a key piece of evidence for me NOT treating a tooth. 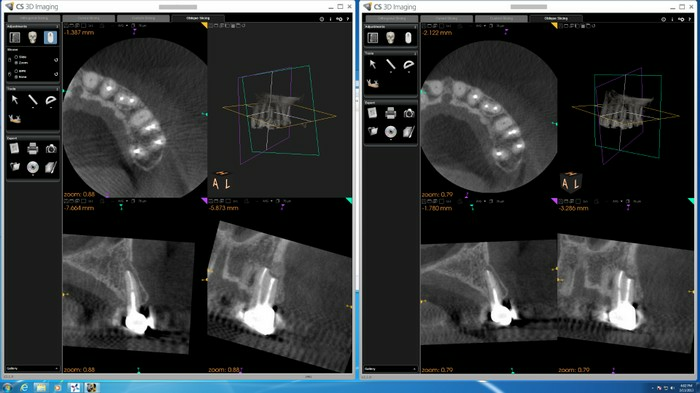 Not only does it allow me to better assess teeth and roots, I am able to analyze the surrounding bone in cases where saving the tooth is not possible to determine the viability of titanium implant placement. At my office, you'll notice that I don't have the traditional dental ceiling lights. This is because I use the operating microscope for all aspects of treatment, beginning to end. I have my chairside assistants at the microscope with me the entire time as well via a co-observation tube. This has proven to not only be good ergonomically, but my chairside assistants are tuned in to what we're doing and are an integral part of the procedure. You'll also see dSLR cameras on the microscopes. Photography through the microscope is a difficult skill to master but it is something I'm passionate about. I meticulously document all my cases. This helps you understand what we're planning on doing as well as what we've done. I also do a fair amount of teaching and lecturing and these images are invaluable for this purpose. The bottom line is that I'm very serious about doing the right thing. I guarantee that you will not find a more thorough, more thoughtful or a more careful office.